You have a great idea for an IoT initiative. Maybe improving your insight into your business operations. Maybe increasing the productivity and satisfaction of your workforce. Maybe building customer loyalty with exceptional experiences. Maybe getting a leg up on the competition with a new digital business model. 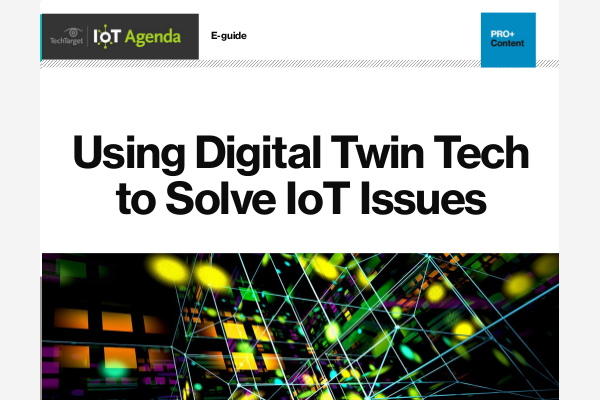 In any case, selecting your IoT platform is an important choice with long-term ramifications. The market is awash with IoT platform options today. Some are proprietary platforms, some are cloud-based, some are general-purpose PaaS with IoT features along the edges, and a few are open source. This article is intended to help you think about the options and consequences of your choice — and highlight the strategic advantages of choosing an open source option. The life of a software project gets shorter every year. It’s common for a software package to be obsolete and replaced by a new version every couple of years, and any software older than four to five years is considered a dinosaur. However, hardware devices typically operate over a much longer lifespan. Appliances, automobiles, home and office infrastructure all have expected lifespans measured in decades. How can you assure your customers that the digital components of these devices will enjoy similar lifespans? With the long term in mind, the problem of lock-in to a specific system and vendor looms larger. Are you confident the platform you choose today will still be available in a decade or two? If not, what are the costs of moving from one platform to another — especially for a diminishing set of legacy customers? Can you opt out of changes in a platform that may have negative impacts on your customers, or require you to invest in costly re-architecture and implementation? What if a platform is discontinued or becomes commercially non-viable for you? What risks to your business could result? Open source protects you in the long term. It is licensed perpetually and gives you the possibility of locking a system down in a solid working state for an extended legacy support period. Freedom to access the platform’s source code allows you long-term freedom to support the system yourself or to seek out alternative vendors for support. As IoT supports your digital transformation, your digital assets — software, systems and data — will increasingly represent the core competitive advantage of your business. Handing control of your core competencies to any third party will increase risks and limit your future options. Your IoT platform is likely to become one of the core business assets that you should own instead of outsource. With open source (especially a permissive license such as Apache License 2.0), you have many of the same rights that an owner does — you can use, adapt, evolve, make derivatives, develop intellectual property around, redistribute, commercialize, relicense and support the platform. (Note: About the only thing the Apache 2.0 license requires of licensees is to maintain copyright and other notices during redistribution.) Building your core systems on open source retains strategic ownership-like advantages that proprietary licenses or cloud service terms cannot. Today you may be a “user” of the IoT platform to build your connected product. But tomorrow you might open up your platform to a wider ecosystem, and even evolve into a “provider” of an IoT platform that others can use. Open source licensing terms preserve your ability to commercialize and productize your product as a platform. Technical divergence from your platform provider. What if the provider discontinues the platform, or makes unilateral changes to the features, capabilities or qualities of service that impact your ability to serve your customers? What if you find a need to customize the platform in unique ways that the platform provider is unwilling to support? Commercial divergence. What if the provider changes the commercial terms in a way that has a negative impact on your business model, or is incompatible with the long-term assurances you have made to your customers? Or what if the commercial terms don’t change, but your business reality does? Strategic divergence. What if the provider becomes strategically problematic as a result of adverse acquisition, changing market position, reputation or regulation? Open source is specifically designed to give you options and retain your independence in the face of changes large and small, technological or commercial, incidental or strategic. Cloud-hosted options can accelerate early prototyping and developing, and offer great agility for projects in early and iterative stages — at low entry costs. However, a cloud product offering per-device pricing that is attractive when the number of devices is low can quickly scale to unreasonable levels as the number of devices soars. For organizations lacking operations expertise needed to manage a scalable, highly available on-premises system, a cloud product can be attractive. However, for organizations that already have or find it cost-effective to build the capacity to self-manage open source deployments, on-premises software may offer lower long-term costs. IoT platform features added (presumably at low cost) to an existing IaaS platform might be very attractive when positioned as an incremental cost. However, in the long term, mixing IaaS and PaaS layers limits your ability to migrate to other IaaS platforms or into your own data center and limits your negotiating power. Clean architecture layers allow more possibilities to adapt to take advantage of the lowest cost at each layer. Migration between different platforms can be quite expensive and time-consuming. Structural capacity to migrate between different deployment forms (cloud hosted or self-hosted open source) is much easier than migrating to a completely different platform. The best balance between these models is achieved with full fidelity migration between public cloud, managed cloud and on-premises or self-hosted systems. Under this model you retain your ability to adapt as needed to the best price appropriate for your current conditions. Open source allows many eyes on code to help detect and address security vulnerabilities promptly. Devices historically followed a “security by obscurity” approach. The revelations of many attacks through remote devices show this approach is insufficient. Open source hardware and software allows many eyes on the design and implementation and makes early detection of vulnerabilities possible. Commercially supported open source vendors are engaged at a reasonable cost to provide support services and maintain vigilance on security threats and mitigations. Open source gives you the option to contribute back to the platform, which can have valuable benefits for your business. It ensures you can obtain specific features of importance to you, on your own timeline, under a sweat equity model. By contributing a particular feature of importance to you back into the code base, you are relieved of long-term maintenance of the feature, which gets picked up, improved and maintained by the open source community. Network effects are at play in open source communities. Each contribution helps build a vibrant ecosystem that can benefit your business. Android is a great example: As a fully functional open source device operating system it allowed many device manufacturers to come up with creative hardware designs and fostered innovation worldwide. The more contributors, the more possibilities emerge in the platform; for instance, the number of devices it supports. You can do your part to protect the vibrancy of the platform with a strategic commitment to participation. Open source offers benefits closer to home as well. It is well-known to attract and retain quality employees — many top engineers see use of and participation in open source communities as an exciting benefit and good for their careers. They often seek out employers who support participation in open source communities. These employees can help your organization adopt open source distributed development and governance practices that have proven effective at spurring collaboration and sharing that lead to outstanding efficiencies and innovation. Contributing to open source is viewed as a form of corporate social responsibility, increasing stocks of goodwill among customers and the industry. Open source will be an important force in the internet of things. Many devices already run open source operating systems such as Linux and Android, and pairing these device platforms with an open source IoT platform for device management, security and analytics offers natural synergies. Visibility into the deep code, the development activity and roadmap, and security features can provide insights that will improve your decision-making power. Business and technical leaders would be well-served by considering their open source strategy with respect to open source, and seeking out open source IoT platforms for proofs of concept, for evaluation matrices and for any IoT project of strategic importance.